The VIP tour starts from meeting tourist at the Yelizovo airport of Petropavlovsk-Kamchatsky city. Tourists met by a guide-interpreter. Moving into the restaurant. Lunch. After lunch, transfer to the hotel. Hotel accommodation. At the evening moving for the city tour of Petropavlovsk-Kamchatsky. Visiting of the observation deck, city center, monuments, fish market. 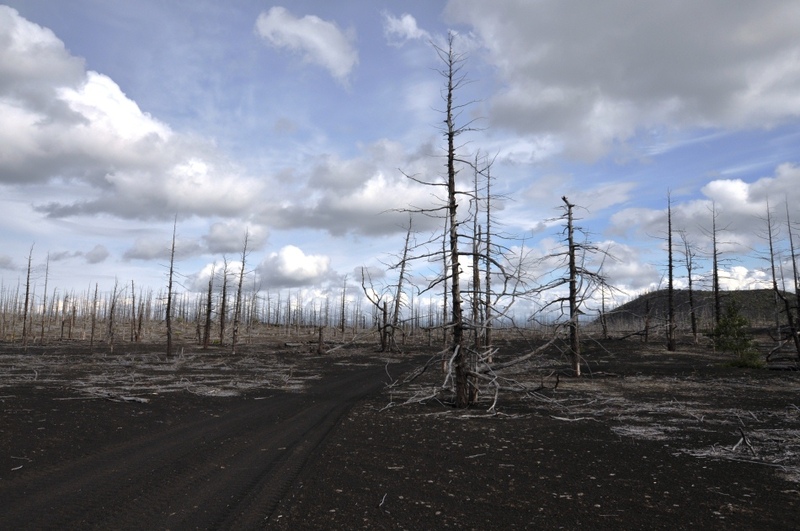 If necessary – check in to shops to buy things needed for the journey to the area of Tolbachik volcano. Dinner in the city restaurant. Return to the hotel. Overnight at the hotel. 08:00 Breakfast. Moving into Esso village (500 km) on the shift bus KAMAZ. The journey takes 10 hours. On the way stop for lunch at Milkovo village in a cafe. Arrival in Esso village. Accommodation in a hotel at the hot springs. Recreation. Dinner. 08:00 Breakfast. Departure to the heliport. Flying at the helicopter Mi-8 around Kliuchevskoi volcano, volcano Tolbachik, places of Tolbachik volcano eruption (1 hour). Landing at the base camp at the foot of Tolbachik volcano. 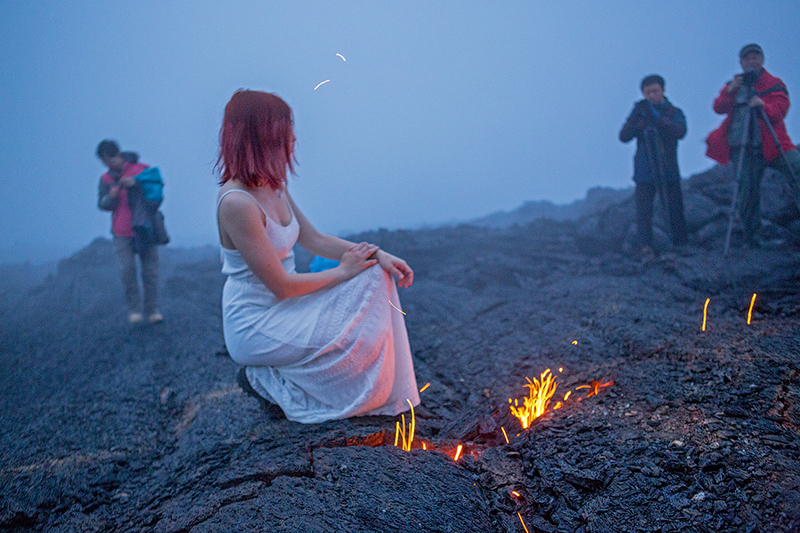 VIP tour includes walking in the places of eruptions and lava flows. Lunch and dinner at base camp. 08:00 Breakfast. Departure to the the North break and the Star cone eruption of 1974-1975 year on the off-road buses Kamaz (6WD). Walk through the cones of the Northern break, lava caves, Deadwood. Lunch. Return to base camp. 08:00 Breakfast. Departure in Esso village. 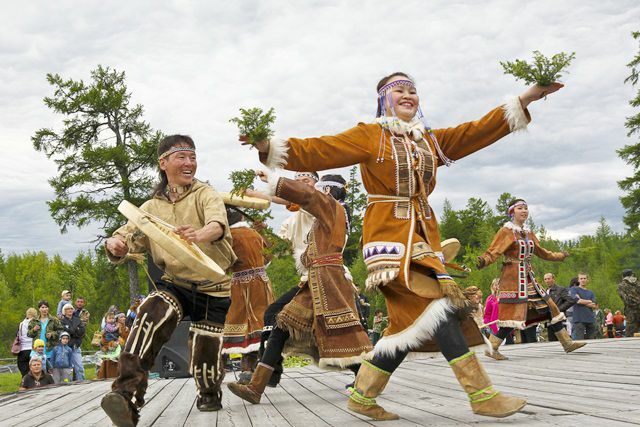 Visiting Evenk cultural center “Menedek”. 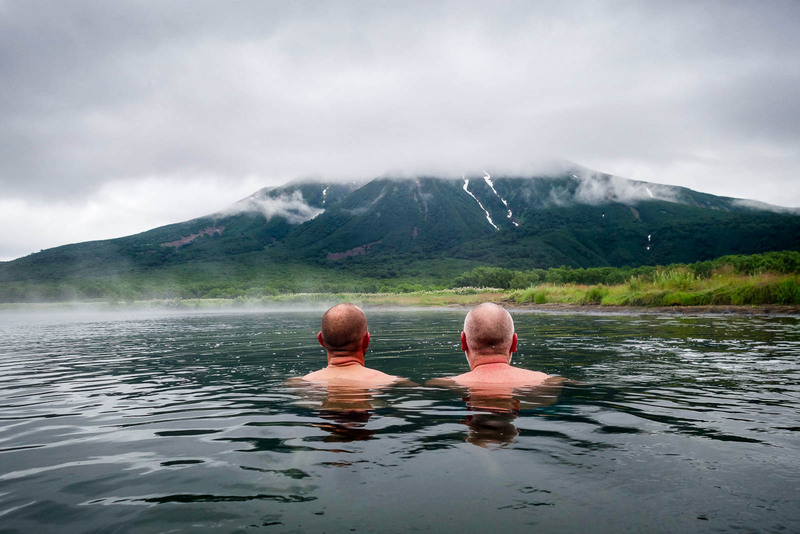 Getting to know the life of the indigenous population of Kamchatka. Lunch. Accommodation in a hotel at the hot springs. Recreation. Swimming in the pool. Russian sauna. Dinner. Overnight at the hotel. 08:00 Breakfast. Visiting the ethnographic museum of Esso. Getting to know the culture and lifestyle of the local population. Transfer to Petropavlovsk-Kamchatsky (500 km, 10 h). Lunch. Hotel accommodation. Dinner. Overnight at the hotel. 08:00 Breakfast. Transfer to the heliport. 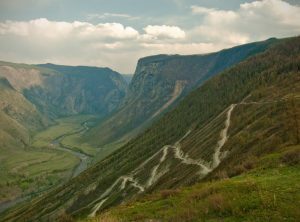 Departures to the Valley of the Geysers and the caldera Uzon (200 kilometers from Petropavlovsk-Kamchatsky). Tour of the Valley of the Geysers and the caldera Uzon (1.5 hours). Lunch. After the Valley of Geysers helicopter flies in Nalychevo valley, bathing in natural hot springs. Return to the heliport. Transfer to the hotel. Dinner. Overnight at the hotel. 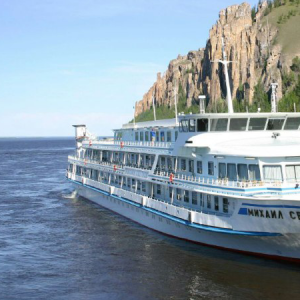 Sea cruise is one of the favorite parts of the Kamchatka VIP tour. At 7:00 Breakfast. Departure from the hotel to the dock port. 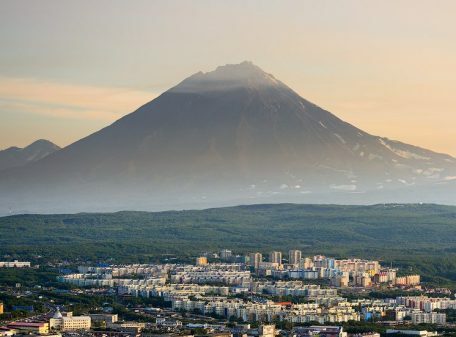 Cruise includes viewing of Avacha Bay, the rocks “Three Brothers”, grottoes, “Granny stone”, “Devil’s finger” and other beautiful places in the bay, access to the Pacific Ocean and extending along the Kamchatka coast, near the island Starichkov passing several bays. 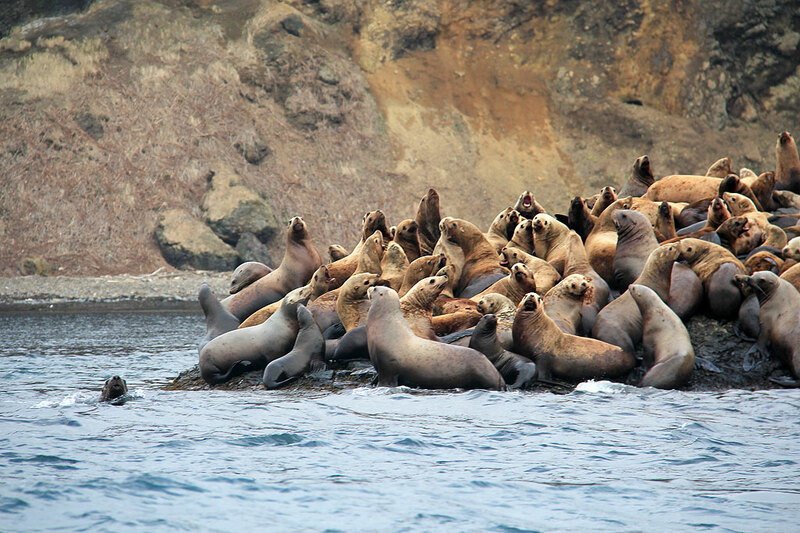 Watching sea lions rookery. 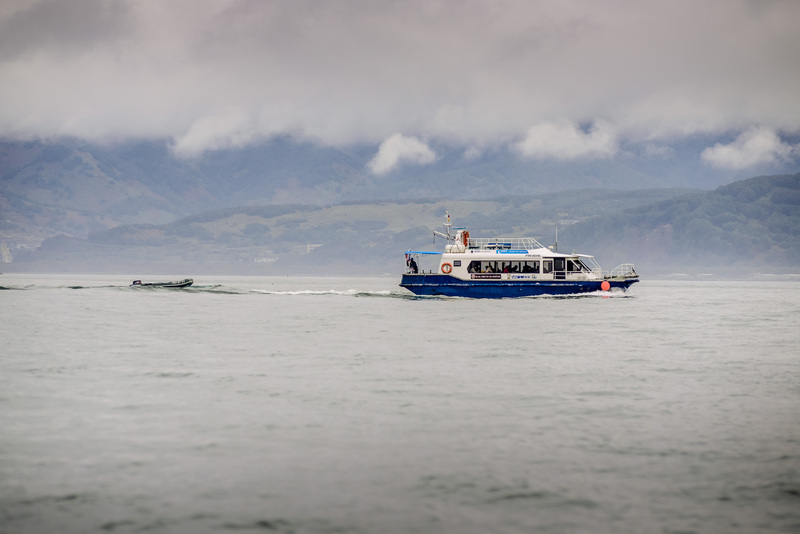 Including fishing in one of the quietest places on the route. Lunch on board. The ship has a diver who lifts the live crabs and sea urchins. Tasting of crab and sea urchin caviar. Boat trip takes 9-10 hours. Return to the port. Transfer to the hotel. Dinner. Overnight at the hotel. 08:00 Breakfast. Departure on the off-road KAMAZ bus to the volcano Goreliy (3 hours). Climbing the volcano Goreliy takes about 3 hours. At the top of the volcano viewing three of the eleven craters. In one of them there is a lake, in the other – the output of gases (fumarole). Admiring the views of volcanoes Vilyuchinsky, Mutnovsky, Mutnovsky plateau and Viljuchinsky pass. From here opens view on the southern part of the peninsula. Hot lunch at the car after the descent from the volcano. Return to the hotel. 08:00 Breakfast. Transfer to the heliport. 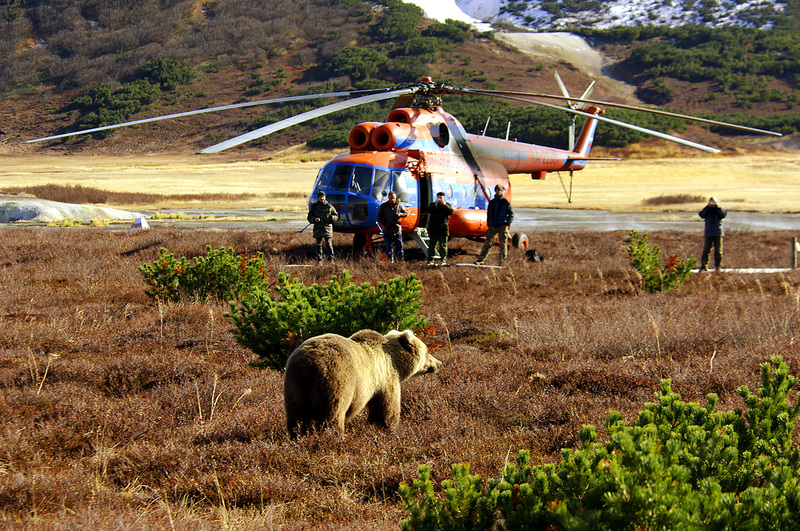 Departure by helicopter to the south of Kamchatka on Kuril Lake. The lake is well known that during the spawning of red salmon dozens of bears come to the shores of Lake Kuril to fish. Here you can see a female with cubs and multiple adult bears engaged in fishing and do not pay any attention to the tourists. It is always an armed ranger with a group and location of people is surrounded by electric shock wire. Walk with a ranger along the shore of the lake. A half-hour ride on a motor boat to the bears fishing places. 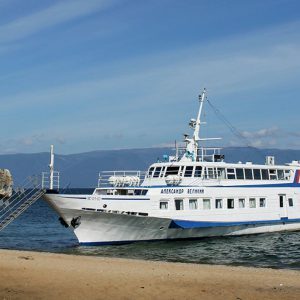 Lunch – VIP catering at the Kuril Lake. 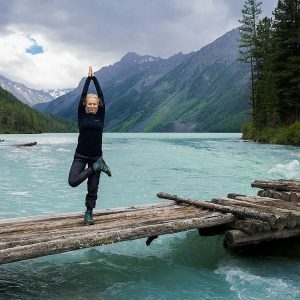 A helicopter transfer to Lake Khodutkinskiye to natural hot springs. Bathing in springs. Return to the heliport. Reserve day in case of bad weather. If all helicopter flights were carried out successfully, the tourists can book an extra day trip as you wish. Catalog day trips provided by the company. Lunch is included into all day trips. 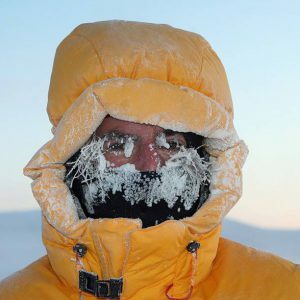 After the tour – a farewell dinner with the program. 08:00 Breakfast. Transfer to the airport with a stop at the fish market and buy souvenirs. Departure. 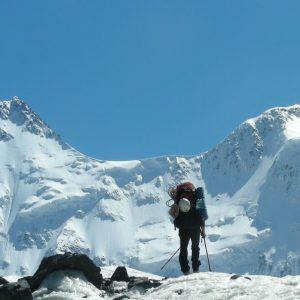 The company provides a sleeping bag, camping mat, headlamp flashlight and trekking poles for the trip to the volcano Tolbachik. Cost of services of helicopter company (paid separately). The route or timetable on the route can be corrected based on the weather conditions, the level of training group, other external factors. The decision to change the route is taken by the guides.